The ultimate tribute to one of the greatest and most influential bands in the history of Melancholic Dark & Black Metal! 1. 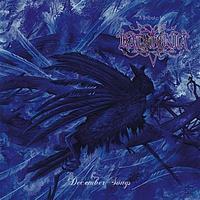 Foscor - "Midwinter Gates"
2. Foscor - "Gateways Of Bereavement"
3. Beatrik - "The Northern Silence"
4. Forest Stream - "Without God"
5. Aeveron - "Shades Of Emerald Fields"
6. Xasthur - "Palace Of Frost"
7. Wyrd - "In Silence Enshrined"
8. Geist - "Love Of The Swan"
9. Dark Fortress - ""Endtime"
11. Forest Of Shadows - "Rainroom"
13. Forgotten Tomb - "Nowhere"
14. Hel feat. Winterheart - "Cold Ways"
15. Farsot - "I Break"
16. Fragile Hollow - "Saw You Drown"
17. October Falls - "For Funerals To Come..."